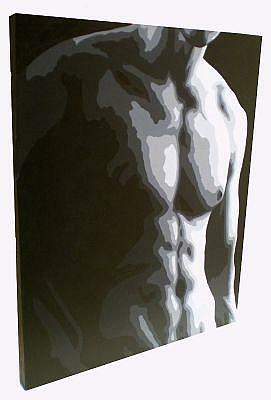 The Black and White Torso series is a study in the shadows, and light across the torso. It wraps each one differently. 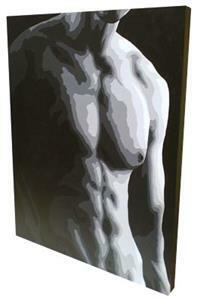 The interesting thing about this style of painting is the further you step away the more in focus it becomes. The closer you are the more jumbled it looks. 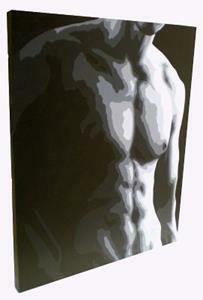 My painting process is done without the aide of digital manipulation.